Professional Outsourcing Magazine has morphed into Intelligent Sourcing, taking the best of the existing magazine with it and expanding into areas better suited to the market as it is now. The backdrop is simple. Professional Outsourcing Magazine has run for seven years now and the market is changing. We’ve changed with it; far from covering outsourcing alone, we’ve covered shared services, captive companies, in-sourcing, offshoring and nearshoring. We’ve covered benefit sourcing, impact sourcing, re-insourcing and throughout, we’ve maintained that any sort of sourcing on principle rather than for pragmatic reasons is ludicrous. It occurs to us that we’ve never been about outsourcing in isolation. So, snappy title though it was, it was time to change. 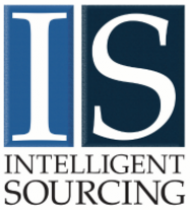 Intelligent Sourcing is the replacement. It still includes the best of our existing content: a regular focus on a particular element of the sourcing industry or two (instead of the regular supplements we’re now focusing on a much larger single issue), our tame sourcing professional remains in place, the editor’s still reading books and top lawyers continue to advise on areas of the business. We’re also starting a regular analyst’s view with media partner the Everest Group, and of course for the moment there’s a regular Brexit column. So, a new title, a new logo, a new look – but it’s a continuation rather than a replacement. We hope you’ll like the results.